DIY traveller? Handy tips for a smooth trip! With an abundance of online travel booking websites there’s a growing trend to DO IT YOURSELF instead of using travel agents. 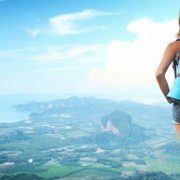 There can be benefits to booking your own travel but beware – it can be the small details that make or break a long awaited holiday if things go wrong. Your passport should have at least six months validity on period of travel. Ensure you have visas for all countries you plan to visit/transit. See www.visalink.com.au to check visa requirements and apply online for most countries. Be aware that a visa doesn’t assure entry. If you hold a dual nationality passport, check if you are considered a national of the country and if this has consequences once you enter the country. DON’T leave home without it! Check travel insurance comparison websites to compare and save on premiums. Confused? Download the Choice Travel Insurance Buying Guide at www.choice.com.au. If you’re planning adventure activities make sure you have the correct coverage. Register your travel and contact details on www.smartraveller.gov.au or at the local Australian embassy once you arrive. Save copies of your passport, insurance policy, credit cards and visas to secure cloud storage. Leave a copy with someone at home as well. Explore travel apps such as Tripit and Google Trips to store your itinerary and alert you to changes. Travel experts suggest pre-paid travel debit/credit cards loaded with required currencies. Load up in advance to take advantage of great exchange rates! Try to keep cash to a minimum but you will need it for purchases such as street vendors. Find out if you have to tip, how much and whether tax is applied to purchases. Take extra passport size photos with you in case you lose your passport and need to replace it while overseas. Apps such as Messenger, What’s App and Viber make keeping in touch easier than ever. Take advantage of WiFi where available to save your data – keep your phone on flight mode and use the hotel’s WiFi for your emails. Global SIM cards are widely available but do your homework – a local SIM card may offer better rates and data. Research destinations. Translation apps such as iTranslate and Google Translate are fantastic for navigating the local language. Be conscious of and obey local laws. Consular aid cannot overrule local laws, even if they seem severe by our standards. Avoid being a target of crime. Watch out for scams, avoid wearing expensive jewellery and try not to carry too much cash. Be safe at home too! Create a closed group on Facebook or set up an iCloud photo library exclusively for those friends or family you want to be able to see your holiday pics. Sharing your holiday Facebook posts publicly will tell people you are away from home. Remember to alert your neighbours you are away, cancel newspapers and arrange for someone to collect your mail. And finally – have a wonderful time! http://www.indigofinance.com.au/wp-content/uploads/2017/09/IF-25-09-17-1.jpg 320 640 IndigoFinance http://www.indigofinance.com.au/wp-content/uploads/2017/01/indigo-finance-logo.png IndigoFinance2017-09-25 20:27:322017-09-25 20:27:32DIY traveller? Handy tips for a smooth trip! The million dollar family… Can you afford your kids? Here’s a scary statistic! 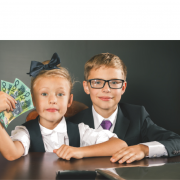 A leading Australian demographer estimates the total cost to parents of raising the average number of children (2.7) to independence (at 24) is $1,028,000. And that’s assuming your family is ‘average’ and they have attained financial independence by age 24! In a growing generation of SLOPS (singles living off parents) you can see the financial impact on parents can be significant. Of course parenting is the most important and rewarding role we will ever perform – our children are our future – but financial security is also important for both our own and our children’s future. According to the AMP.NATSEM report the cost of raising kids has increased by 50% in 5 years. During the same period household incomes have risen by 25%. Clearly there is an imbalance. Many kids now attend multiple paid activities out of school. Combined with a shift to paid family recreational activities, events and travel as opposed to the picnics etc of yesteryear you can see why recreation and entertainment is the third biggest expenditure for the average household. You expect private education to be costly but as tablets replace books even the cost of public education is increasing ($63K per child in metro areas and $52K in regional areas per school life). The average household with dependants has over 100 toys and 96% of parents spend more than $100 per child, per year on toys. Worse still, two thirds of these toys are discarded when they are no longer used! Most family members now have multiple electronic devices – and upgrade them regularly. In fact, Gen Z is the most materially supplied generation ever! So WHAT can you do to help you manage AND get ahead? Better still? PLANNING is the key! Ideally this should involve PLANNING AHEAD before having children and regularly reviewing your plans for a secure financial future as life changes occur. Create a budget. Learning to live within a budget is an excellent habit to create before kids come along. It is VITAL that you contact us to review your financial goals and chat about your options to use those ‘life event’ savings to help build your financial future. Grandparents often wish to help. A trust account built over the life of a grandchild could assist them into the property market by the time they reach adulthood. It’s important to speak to a financial advisor to explore options that will not impact taxation or Centrelink entitlements. Remember the role of insurance in protecting your family’s future. It is no longer a luxury – it provides a very necessary safety net. Consider life insurance (death benefit + TPD), trauma cover and income protection insurance. Call the office if you would like a chat about your financial future and how to manage your life changing circumstances. http://www.indigofinance.com.au/wp-content/uploads/2017/09/IF-19-09-17-1.png 788 940 IndigoFinance http://www.indigofinance.com.au/wp-content/uploads/2017/01/indigo-finance-logo.png IndigoFinance2017-09-19 20:17:412017-09-19 20:20:47The million dollar family… Can you afford your kids? Top 15 ways to own your home sooner! Before taking action on any of the below ‘Top 15 Ways’, we recommend you speak with a Finance Specialist. Call the office for more information on any of these 15 suggestions. And lastly, call the oﬃce to speak to us! http://www.indigofinance.com.au/wp-content/uploads/2017/09/IF-10-09-17-.jpeg 422 750 IndigoFinance http://www.indigofinance.com.au/wp-content/uploads/2017/01/indigo-finance-logo.png IndigoFinance2017-09-10 20:08:572017-09-10 20:08:57Top 15 ways to own your home sooner! At a time of almost constant (even daily) changes in the finance world – and an absolute overload of information online – it’s easy to see why some consumers are becoming ‘switched off’. For example at the time of writing this article, one lender was advertising an interest rate of 3.78%. Sounds good doesn’t it? But the comparison rate was 4.36%. Now that’s a difference of $580 interest each year for every $100,000 of borrowing you have. That is a little over $2,000 per annum on the average Australian loan. 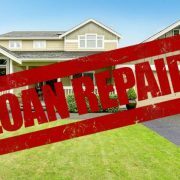 The mandatory comparison rate was initially introduced to stop lenders advertising very low interest rates that lured borrowers into loans that actually ended up costing more than they expected. 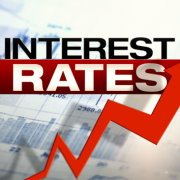 A low rate may look attractive at first glance but it doesn’t always mean it is the lowest rate. Mortgage brokers now account for more than 50% of the home loan market. There is a good reason for that! We have to constantly adapt with the times, the policies and the changing finance market to provide more than just a loan service. If you are thinking of reviewing your current loan – DON’T do it alone!